Dogs are perhaps the most beloved domestic animal of all time. For some of us, our fondest childhood memories included our beloved family dog. Television and film productions feature a wide variety of famous canines from their earliest years to modern times. Today, we would like to take a look at some of the most famous dogs to grace the big and small screens. Scooby Doo is perhaps the most famous Great Dane of all time from the beloved children’s mystery series. This gentle giant often accompanied his best friend, Shaggy, as they solved mysteries and ate a plethora of snacks along the way. The beautiful and fluffy Collie Lassie was one of the most famous dogs of her time in the 1950’s television series. Lassie was known for her courage and her loyalty to her human companion, Timmy. Despite the fact that Lassie was a female character, she was mostly played by male dog actors because male dogs have thicker, more aesthetically pleasing coats. This scruffy, scrappy little dog was Dorothy’s beloved companion in the classic film, The Wizard of Oz. Toto was played by a dog named Terry, who was actually paid more than some of the human actors in the film. Although Terry was most famous for his role as Toto, he acted in at least 13 other films. This German Shepherd starred in the series Adventures of Rin Tin Tin in the 1950s. In this show, Rin Tin Tin helped soldiers keep the peace in the American West. This dog was well-known for his ability to jump great heights. Pete the Pup was an American Staffordshire Terrier featured in the immensely popular 1930s television series,The Little Rascals. Played by Pal the Wonder Dog, this dog had a ring around his right eye that was considered his distinguishing characteristic. In fact, when Pal died in 1930, all of the dogs that replaced him had to have the ring drawn around their right eyes. This adorable shaggy mutt was the star of the 1974 film, Benji. Benji was played by a dog named Higgins, who was discovered in an animal shelter in Los Angeles. The animal trainer who adopted Higgins was drawn to his ability to display a wide range of emotions and expressions. Perhaps the most depressing tale of all time is the tale of the doomed dog, Old Yeller. In 1956, Frank Gipson published the children’s novel about the heart wrenching loss people experience when they lose a dog. The following year, a movie was released based upon the book, traumatizing children and adults alike for years to come. These are only a few of the most famous dogs in timeless television and film productions. 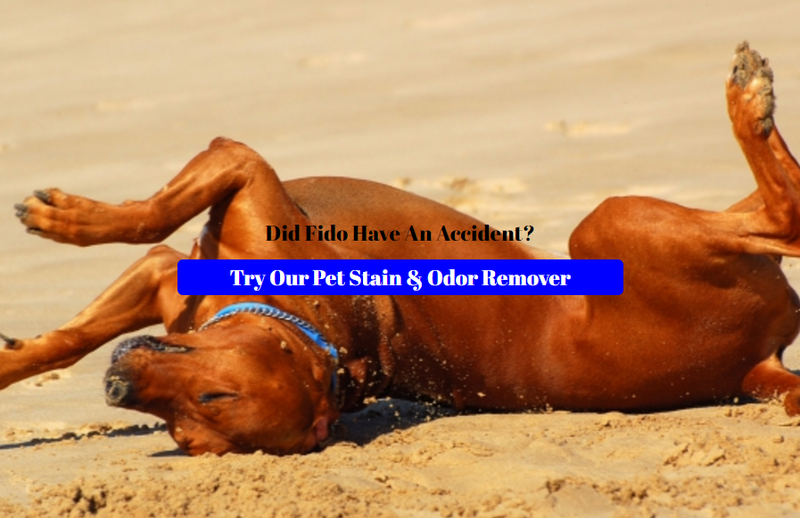 Whether or not your dog is famous, you will most likely have to clean up accidents from time to time. Our Absolutely Clean Pet Odor and Stain remover is a non-toxic cleaning product that uses enzymes to effectively and safely clean stains. This enzyme odor remover can neutralize some of the worst odors without harming the health of your family, your pets, or the environment.